Click here for flyer. Click here for flyer. Our policy in case of inclement weather is the same as the Montgomery County Recreation Department. If Montgomery County Public Schools are closed due to weather, our dance is canceled. If school opening is delayed, dances before noon will be cancelled; afternoon and evening dances are held as scheduled. If schools close early due to weather, or if Afternoon and Evening Events are cancelled, our dances are cancelled. On weekends or holidays, if the MCRD programs are canceled, so are our dances. You may check by calling the Recreation Inclement Weather Line at 240-777-6889. Betsy Taylor and her husband, Al, have been square dancers for many years. Betsy became a square dance caller and has been calling in the Washington area since 1993. She has also prompted Contra dances since 1997. 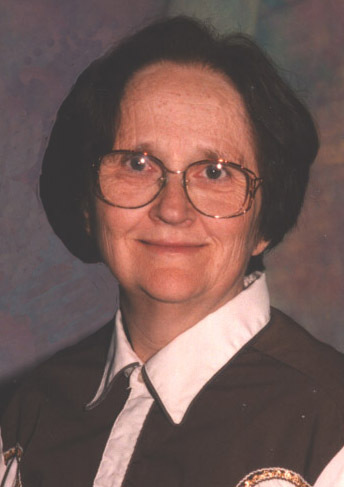 In 2000 she called and prompted at the National Square Dance convention in Baltimore and began teaching square dance and Contra classes for the Montgomery County Recreation Department. She is a member of NCASDLA (National Capital Area Square Dance Leaders Association) and served as President from 2009 to 2012. She is also a member of CallerLab (International Callers Association). The Taylor Made Squares is a caller run square dance club which joined WASCA in 1997. We are mostly a Teaching Club. Originally we only taught Mainstream but now we also teach Plus and Contra. Currently we meet 1st and 3rd Mondays from 7:30 P.M. to 9:00 P.M. at the Washington Grove's McCathran Hall, 300 Grove Avenue, Washington Grove, MD 20880. It is very close to Gaithersburg, MD. Dance instruction, ranging from Beginner to Plus, will be provided as needed. The cost is $5 per dancer. Washington Grove is somewhat central to the county and reasonably close to Leisure World, Gaithersburg and Olney. McCathran Hall is not hard to find. Go down Shady Grove Road from 355 to the light at Oakmont Avenue. Turn left and go under the I-370 bridge. Stay on Oakmont to Railroad Street (about 1/2 mile). Turn right over the railroad tracks and turn left (still on Railroad Street) and go to Chestnut Road (about 2 tenths of a mile) and turn right. Stay on Chestnut Road to Center Street. A map to McCathran Hall can be found here. Bad Weather Policy: If the Montgomery County School system cancels classes or evening activities due to inclement weather, our activities will also be canceled. On weekends or holidays, when the schools would be closed anyway, we go by the Montgomery County Recreation Department Inclement Weather guidance - if the MCRD programs are canceled, so are our dances. You may check by calling the Recreation Inclement Weather Line at 240-777-6889. For further questions, call Betsy Taylor at (301) 589-4868 or e-mail BetsyTay@erols.com. In the fall of 1995, Betsy Taylor began teaching square dancing at the Longbranch Community Center in Silver Spring, MD. In December 1997, we applied to be a Mainstream Club in WASCA, the Washington Area Square Dancers Cooperative Association. Since then, we have been a caller run club with an emphasis on teaching, and have used Longbranch Community Center in Silver Spring, MD on Tuesday nights (1997 through 2005) and the Wheaton Community Center in Wheaton, MD on Wednesday nights (2006 through 2009) as our principal home base. In September 2009 we began using the Church of the Ascension in Silver Spring, MD on Monday nights as home base. We have given many demonstrations at such places as: nursing homes, assisted living facilities, libraries, the Margaret Schweinhaut Senior Center, the Longbranch and Coffield Community Centers, the 75th anniversary celebration of the Montgomery Farm Women's Coop Market in Bethesda in 2007, City Place Mall and Derwood Agricultural Farm. We are particularly proud to have danced and marched annually in Montgomery County's Holiday Parade since it was revived in Silver Spring in 1998. The only year we missed, 2007, was due to Al's treatment for bladder cancer.